Why Begin with the Bag? 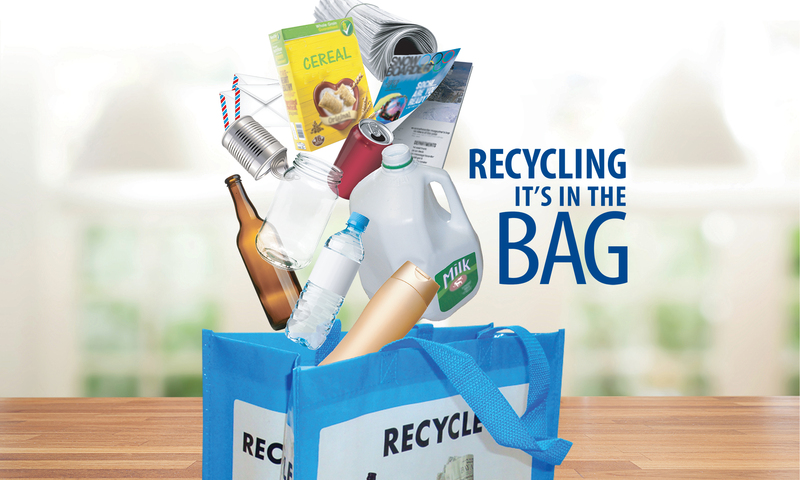 Reusable Bags lower costs and drive participation for your recycling program! Plus, those bins take up a lot of space. Get them something they’ll want to have around. Community residents don’t always have room for big, bulky bins. That’s why many waste managers and recyclers now offer bags to encourage recycling. They not only take up less space when stored, they’re also easier to carry to curbside receptacles. You can also customize bags with a Sure Grip bottom handle. The Sure Grip handle offers a better grip while emptying the bag and helps prevent accidentally dropping reusable bags into the recycling receptacle. Reusable Recycling bags are completely customizable in size and graphics to fit your needs. 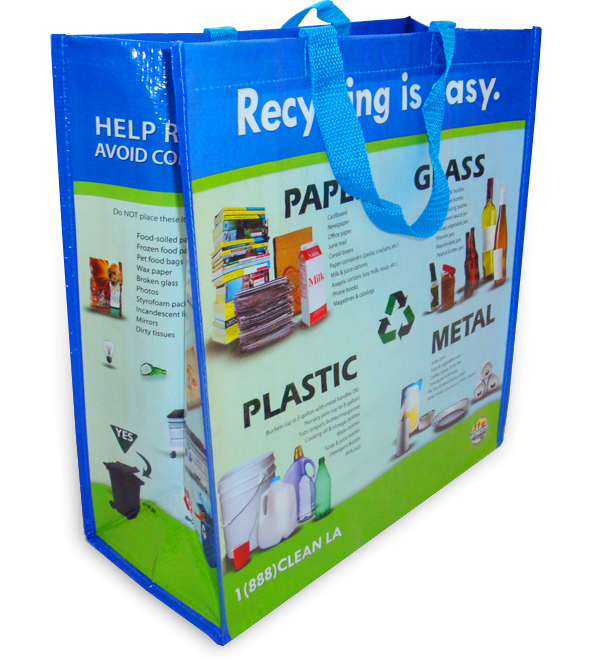 Size your bags however you want; taller, wider or deeper and then design with full-color graphics on all sides – even the bottom – to promote your community and drive recycling participation. or fill out the form below and we’ll get right back with you! BeginWithTheBag.com is a Factory Direct Promos site promoting the use of strong, durable reusable bags in the recycling industry. 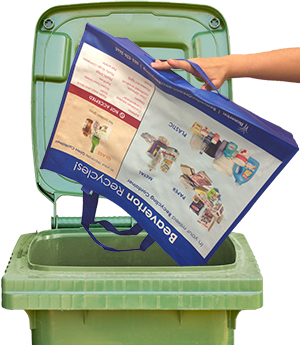 To learn more about our products and services for recyclers and community-driven recycling programs, visit our reusable recycling bags web page.